Oran passenger and car ferry ticket prices, timetables, ticket reservations and information for ferries sailing from Oran to Alicante, Almeria and Marseille. Compare all available Oran ferry ticket prices in real time and book the cheapest available Oran car and passenger ferry tickets sailing to and from Oran, Alicante, Almeria and Marseille with Algérie Ferries, Acciona or SNCM Ferry Line ferries online with instant confirmation. Book Oran Ferry Tickets with Algérie Ferries, Acciona or SNCM Ferry Line for ferries sailing from Oran to Alicante, Almeria and Marseille online in advance to enjoy the cheapest available ferry ticket price. The price you see is the price you pay. There are no hidden extras or surprises such as added fuel surcharges or booking fees and we do not charge you anything extra for paying with a Visa Electron card. The price we quote you for your selected Oran passenger or car ferry ticket, onboard accommodation and vehicle type is all you will pay, and that's a promise. To obtain a Oran ferry ticket price and book your ferry ticket securely online please use the real time ferry booking form on the left. You are also able to add a hotel at your destination, or anywhere else, to your ferry ticket when completing your ferry ticket reservation. Oran is the second largest city in Algeria, it is an industrial, cultural and educational centre for the country. Though part of it is covered by high-rise apartment buildings and ordinary homes, there are older parts that make for interesting sight seeing. The Great Mosque built in 1769 is a good place to start. It is open to the public which is quite unusual in this part of the world. The Marabout Sidi Mohammed El Haouri is a very good example of Andalusian architecture. For all things historical, the Demaegth Museum has exhibitions that span thousands of years. The Cathedral de Sacre Coeur is a beautiful old building that has been converted into a public library. Oran is a coastal town but the beaches in the immediate vicinity of the city are not terribly good. However a short trip away from the hustle and bustle will leave you with miles of beautiful sand and refreshing sea water. It may be a bit out of the way, but Oran is a great place to visit while exploring Algeria. Oran is the most important city of the west of Algeria. Oran's major claim to fame is the fact that it is the home of Rai music. Almost all great singers (Khaled, Cheb Mami, Faudel) are from Oran. The town was founded by Andalusian seamen in AD937 and flourished under Zianid rule, developing strong trading ties with Spain, which eventually led to Spanish occupation from 1509 to 1708 when Oran was captured by Ottoman forces. The Spanish recaptured the city two years later but withdrew after an earthquake destroyed most of the city in 1790. Oran has numerous hotels in all categories, from luxury to basic, as well as many restaurants offering Algerian specialities and other foods. Tourists will also find a variety of cinemas, arts centres, the regional theatre, an open-air theatre, the Museum, the historic city centre of Oran, the district of Sidi El Houari, the municipal gardens, Médina Djedida with its artisanal products, the cathedral, Djebel Murdjadjo, and nearby seaside resorts. International airport Es-Senia is 7.4 miles from the town centre. One can also reach Oran by ferries from the ports of Marseilles, Sète, Alicante and Almería, via the national company Algérie Ferries. Nowadays Oran is a very busy port and city. There are a lot of things to do and see in town. The city centre coastline (front de mer) is the ideal place to hang out with friends, drink mint tea and have an ice cream. Railway station in OranThe city has limited means of transport, which do not cover sufficiently the non-urban zones. The entreprise ETO (Company of Oranian Transport) acquired new buses burning coal. There is an extensive network of "clandestine" taxis in the City. Work will start in 2008/9 and will last approximately two to three years, to deliver the first line of the tram in 2010. It should comprise 31 stations, distributed on 17,7 kilometers going to Es-Sénia, in the South, jusqu'à Sidi Maarouf, with l'Est, while passing by the centre town The tram should serve the locality d'Haï Sabbah, l University of Sciences and Technology (USTO), the Crossroads of the Three Private clinics, the Law courts, Dar El Baïda, the Plate-Saint Michel, the Place of the 1st November, Saint-Anthony, Boulanger, Saint-Hubert, the 3rd Ring road and finally l University Es-Sénia. The Oran Es Senia Airport, for domestic and international flights. Oran Es Senia Airport serves both, domestic and international flights, with frequent connections to the capital Algiers, served by the public airline company Air Algerie. The same company also has flights to many French cities (Marseille, Paris, Lyon, etc.) and other European and EMEA cities. The Es Senia Airport also serves passengers from most smaller towns in proximity to Oran (Mostaganem, Arzew, etc.). The airport building is a fairly limited construction and does not operate on a 24-h basis. Best Price Guarantee - We always offer you our lowest available Algérie Ferries, Acciona or SNCM Ferry Line passenger and car ferries ticket price to and from Oran. There are no hidden extras or surprises such as added fuel surcharges or booking fees and we also we do not charge you anything extra for paying with a Visa Electron card. The price we quote for your selected Oran ferry ticket, onboard accommodation and vehicle type is all you will pay, and that's a promise! In the unlikely event you find the same all inclusive Oran ferry ticket cheaper in the brochure of any other tour operator we promise that we will do our best to beat that price or offer you the choice of requesting a refund. 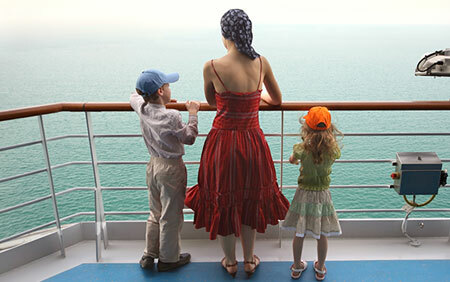 To book Oran car and passenger ferry tickets please click here. At ferryto.com you are able to obtain live Oran ferry ticket prices, check availability and book car and passenger ferry tickets to and from Oran at our lowest available ticket price. Ferryto.com is part of the world's largest online ferry ticket distribution network providing the ability to book over 80 major European ferry operators including to Oran and to over 1,200 other ferry routes throughout the UK, France, Spain, Ireland, Holland, Eastern Europe, the Mediterranean, the Baltic and North Africa.